Songwriting: A Complete Guide to the Craft is both a comprehensive course for beginning and experienced songwriters and a rich source of new ideas, inspiration, and tricks of the trade for those who have already achieved professional standing. This fresh new edition not only contains all of the original volume's cogent advice on how to write the always-popular genres - the country song, the ballad, and the love song - but has been revised to include: • Examples of hard rock, acid, heavy metal, bubblegum, hip-hop, salsa, rap, gangsta, reggae, ska, soul, and many other of today's most recorded styles. 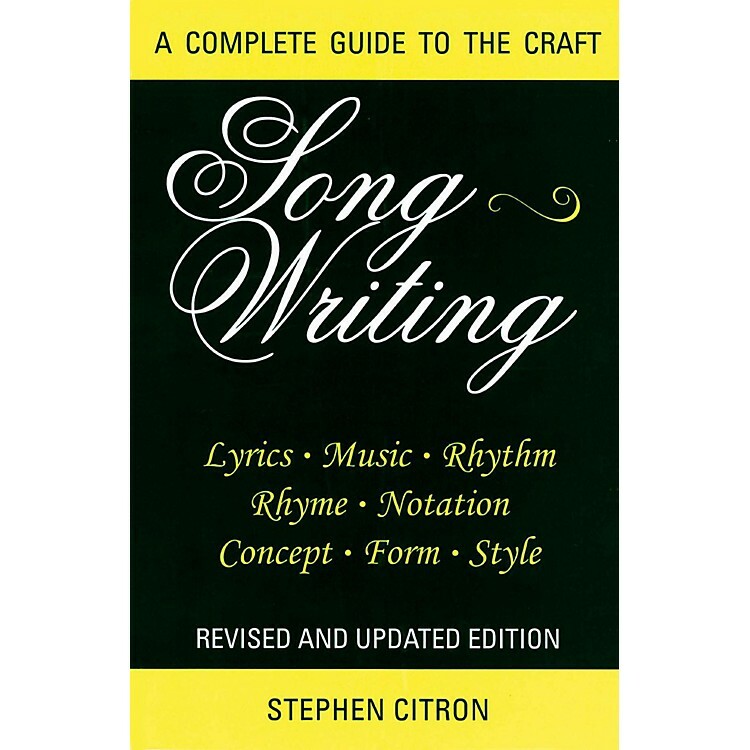 Unlike other books, Songwriting emphasizes the art - without being arty - and technique of creating a song. For the novice, Stephen Citron goes step-by-step through the writing of a song presupposing no prior knowledge of notation, harmony, rhythmic values, or rhyme. For the more experienced songwriter, Songwriting will serve as a one-stop reference and as an endless source of fresh ideas.